The Baltimore Catechism teaches purgatory. Yes. Purgatory exists. The other three of the Four Last Things are Death, Heaven, and Hell. The idea is a consoling thought. If "not one jot, not one tittle" will go unpunished, it is a huge help that we have an opportunity to repair before going to Heaven. 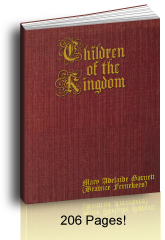 The Baltimore Catechism (BC) teaches the purgatory catechism answers. 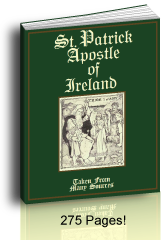 Not only does the Catholic catechism teach it, but also the Bible. The Douay-Rheims Bible says many times that "God will render to every man according to his works ... and shall not escape without punishment." See these Bible quotes: Matt. 5:25, 26; Matt. 12:32, 36; Apoc. 21:27; Luke 12:58, 59; 1Cor. 3:13-15; 1Pet. 3: 18-20. Original Sin is the sin of our first parents, Adam and Eve. Sin is disobedience to God's laws. After the Creation (Gen. 1:1, Douay-Rheims Bible), Adam and Eve chose to do the very one thing God had forbidden. The effects are upon all their children. Where is their hope? God promised to send His only Son, Jesus (Gen 3:15, Douay-Rheims Bible), through the Blessed Virgin Mary, Mediatrix of All Graces! Jesus established His Church on earth and gave us the Sacrament of Baptism by which we are cleansed of Original Sin and by which we profess the Catholic religion. Actual sin is any sin we ourselves commit. Uh-oh. What do we do for the sins we have committed after Baptism? How can we get rid of the guilt due to actual sin? We're not just saved by Baptism because we can still offend God. So what's to do? Enter: the Sacrament of Penance. 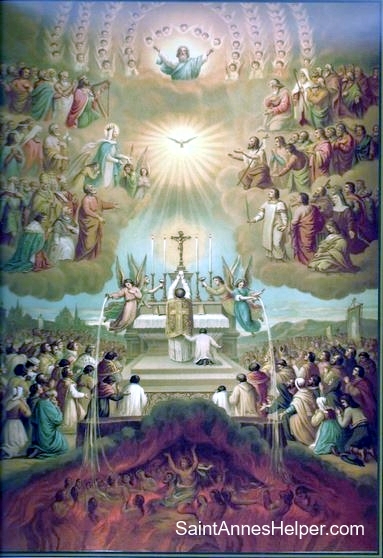 By confessing our actual sins to a priest to gain absolution we can have the grace to avoid Hell for any mortal sins and the grace to avoid punishment in purgatory for venial sins. The more sorry we are that we have offended God, the more grace we receive. If we cannot get to confession right away, we can make an act of contrition or an act of sorrow. Here is a beautiful version of the perfect Act of Contrition Prayer. For mortal sins we also need to make the intention to go to sacramental confession as soon as possible. Yes, this intention "covers" us in the meantime in case of accidental or unprovided death, although it may not be enough to remove the need to go to purgatory. This is why it is important to have the prompt habit of making an act of contrition right away. 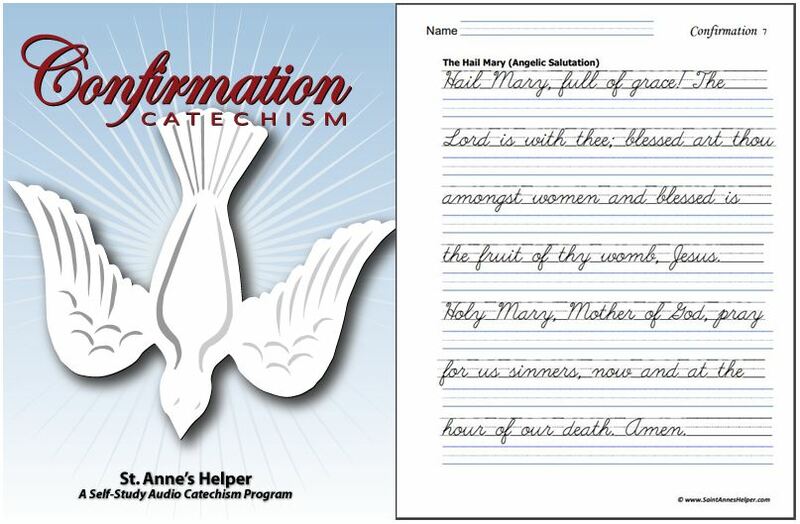 Our First Communion and Confirmation Audio Catechism (CDs, Downloads, and Copybooks) can help you in your Catholic catechism class. Their format makes it easy to search track by track for the exact answer you would like to have the children memorize. As an adult: Do you know the Catholic Ten Commandments? The Our Father Prayer? and the The Apostles' Creed? Would you like to memorize them or help your children, grandchildren or students? 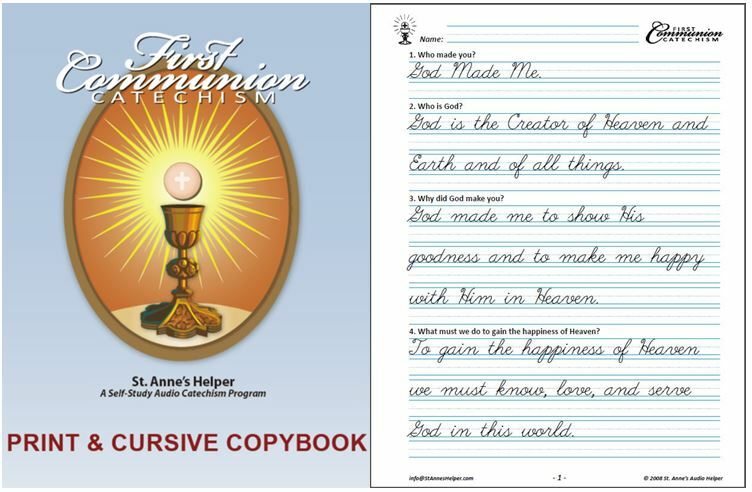 Get help with Saint Anne's Helper audio, worksheets, and coloring pages.